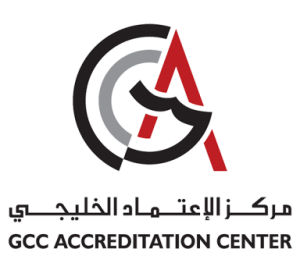 Halal Certification Europe (HCE) is pleased to announce that we have achieved GAC (GCC Accreditation Center) accreditation. GAC accreditation for Gulf countries ensures a robust ISO foundation for their Halal standards. Through GAC we are also registered with ESMA (UAE). Established in 1992, we are the first not for profit organisation within the UK with the sole purpose of serving Halal consumers. In becoming a Halal certification body in the UK to achieve international accreditation we take this opportunity to look back at our roots. We would like to show our gratitude to the pioneers of the Halal standards, JAKIM and MUI, and we show our thanks to GAC and MUIS for their aims of adding to the system to assure standardisation of Halal. This is an accomplishment we are especially proud of since it displays our conformance with the rigorous standards set by GAC and we hope this will be the start of a very productive collaboration. This accreditation is a vital milestone in our goal of working towards the most stringent standards and of continually improving our practice; it is a reflection of our commitment, dedication and investment toward achieving an industry standard globally. We hope this presents the start of a fruitful relationship in a bid to strengthen the community of Halal around the world under shared standards, goals and ideals. In doing so we hope to better serve both Halal producers and consumers.